EGG is a Dutch outdoor company from Amsterdam that develops, produces and distributes customizable multisport helmets and accessories for kids between the ages of 1 to 12 years old. 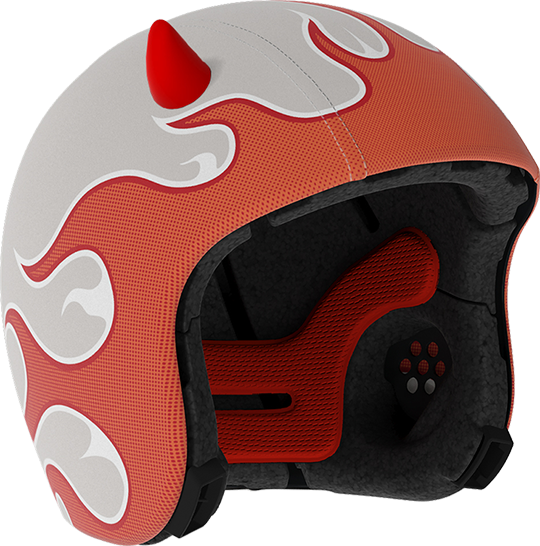 The innovative company was founded in 2010 by a couple of young fathers who, inspired by their inner child, saw that kids do not like helmets. Although they need them for safety purposes, they find helmets uncomfortable and unappealing. They were just not cool. The idea then dawned to create a helmet that would be fun, safe and comfortable and could be used for several sports. A cool helmet was born. With an impactful, simple and strong design. So a customization system was created so that the helmet can change appearance as easy as 1, 2, 3. EGG helmets were created with a simple vision in mind: to make safety comfortable, fun and stylish and to change “I need a helmet”, into “I want a helmet.